For many college students, video games can be a distraction from studying. But Brandon Ramcheran ’06 can draw a line from his undergraduate leisure-time obsession all the way to his current work as co-founder and co-CEO of JoyTops, a Los Angeles, Calif.–based start-up with products in video game stores nationwide. 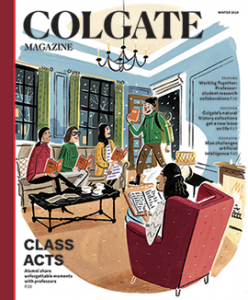 At Colgate, Ramcheran formed some of his closest friendships playing FIFA Soccer. Among Ramcheran’s friends, a legend grew up around his powerful video-game controller, nicknamed Excalibur. But when the analog stick wore out, he had to throw it away. “When Excalibur broke, I felt like I lost my strength,” Ramcheran says. That experience sparked an idea that would grow into a full-fledged business plan years later, when Ramcheran was working on the showroom floor at Tesla Motors in Los Angeles. Keeping up his gaming habit, Ramcheran had recently worn out two additional controllers. Again and again, it was an analog stick (or “joystick,” to older gamers) that failed. Talking to fellow Tesla product specialist Carlos Montoya about the design weakness that kept turning his prized controllers into trash, Ramcheran hatched an idea that would define the next four years of his life: stylish protective caps that extend the life of analog sticks and provide new opportunities for customization and feel. 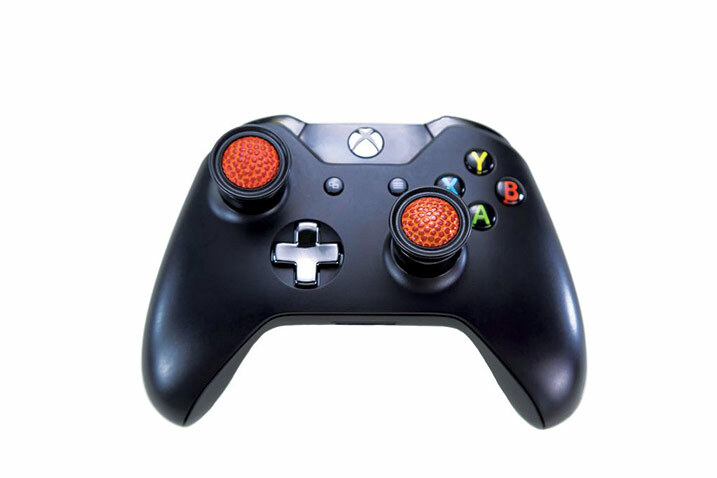 The initial product offerings from JoyTops, the company founded by Ramcheran and Montoya, are analog stick thumb grips fabricated with the same materials used to make footballs, basketballs, and baseballs. The products debuted at the Electronic Entertainment Expo in June 2017 and have been in demand ever since. The national video-game outlet chain GameStop sells the products in its top 500 locations, and Ramcheran recently launched a partnership with the LA Clippers for a VIP courtside giveaway. Ramcheran sees room for growth for his business in the increasingly lucrative industry of competitive video gaming, or esports, where skilled gamers can make millions of dollars by letting viewers watch them navigate tricky in-game scenarios on platforms like Twitch. “It’s huge,” Ramcheran says of esports.